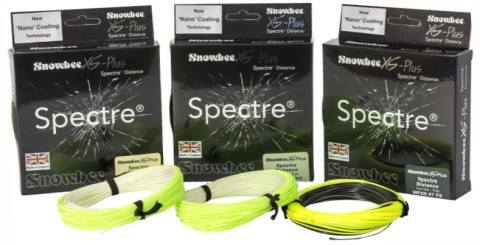 The new Spectre series have a new profile, extending the range of our traditional XS fly lines and are all 30ft longer in total length to account for their outstanding performance. Each of the new Spectre Distance lines have the same 47ft length head, but to help achieve the benefit of longer casts with much the same casting ability, the profiles.have been tweaked to optimise performance, with all casting abilities. The 7ft front taper allows good turnover at longer range, while the 8ft rear taper provides a range over which a good cast can still be achieved, whether the optimum head length has been precisely aerialised, or not. 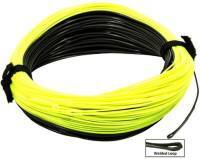 All the lines have a floating running line that will gradually pull sub-surface, with the weight of the sinking lines, to provide the perfect direct contact to the flies, without any slack, for enhanced bite detection. 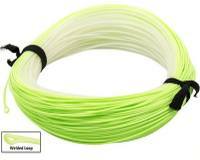 This floating line will provide long and accurate casts when fishing dries, buzzers or damsels. Intermediate line, with a sink rate on the head of 2 ips provides the opportunity to fish subsurface in all weathers. Sink rate of 5 ips and enables the opprotunity to reach drop-offs at long range and get down quickly to fish along the bottom, early season with boobies, or search at depth from the boat, to find fish holding deeper in typical summertime conditions.